Primulina ‘Lucky Cloud’, 2018, IR181423, registered by Le Luo, Qixiang Zhang, Fang Wen, Tangren Cheng, Huitang Pan and Chunxiao Ai, Beijing, China. Mutation of Primulina yungfuensis. Reproducible only vegetatively. Basal rosette. Green leaves with white reticulate eins, 2.5-7.5 cm long, 1.4-3.3 cm wide with 0.8-1.7 cm petiole, elliptic to ovate with cuneate base, serrate margin and acute tip. Calyx purplish green, 6.5 mm long. Pedicel 1-1.9 cm long with 3-8 flowers per axil. Corolla salverform, 3-3.5 cm long x 0.8-1.0 cm wide, mauve, tube light pink. 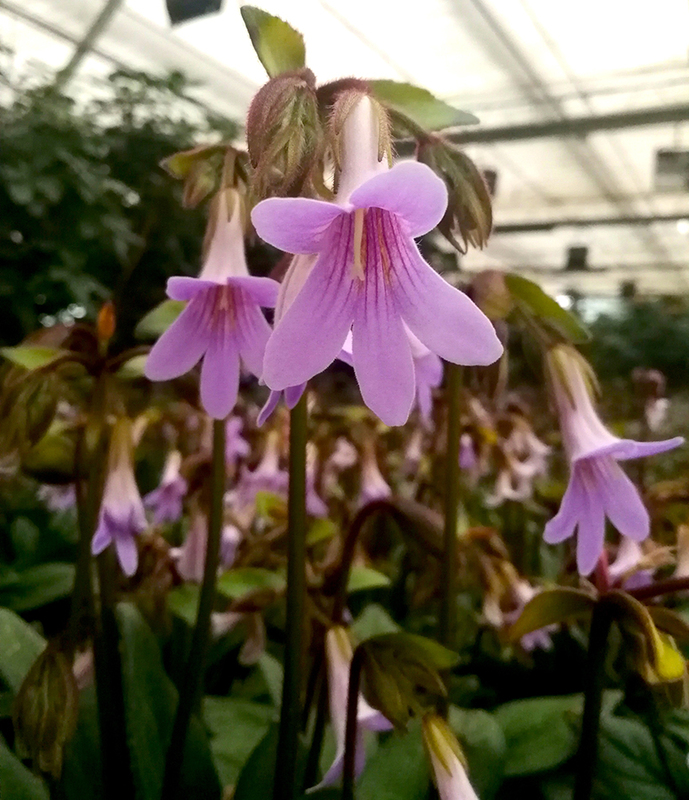 This cultivar has 2-3 times more veins than the original species, more deeply parted corolla.The flowering period lasts about 35 days, from the middle of May to late June. 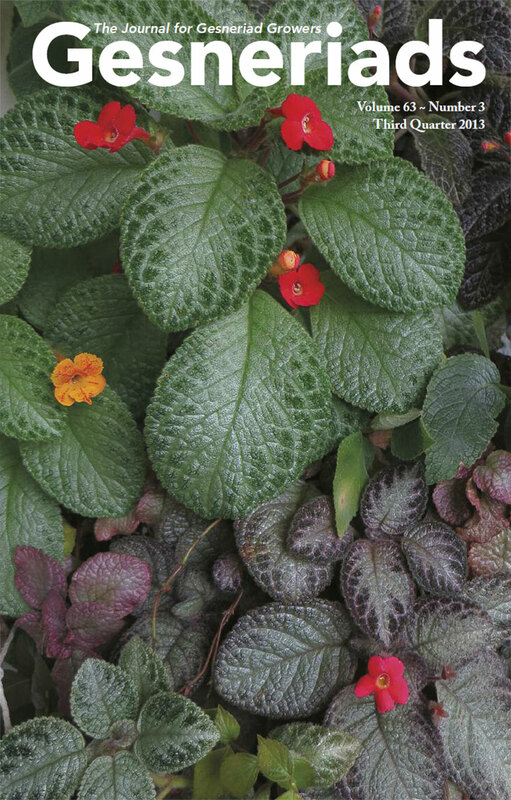 Thanks to its strong adaptability and shade tolerance, this plant serves as great material for rock gardens, as well as environment with insufficient light — indoor houses and offices.